Cynthia D. Pederson, former United States Nuclear Regulatory Commission (NRC) Region III Administrator, recently joined Illinois Tech’s distinguished Health Physics Board of Advisors. Pederson, the first woman to hold that position, led a staff of about 200 employees whose mission is to protect our nation’s public health and safety. 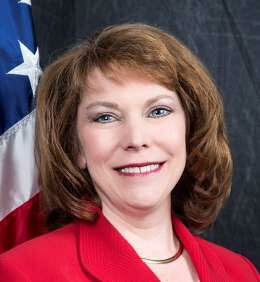 She was responsible for the inspection of 23 civilian nuclear power reactors and more than 1,000 materials licenses in eight states across the central U.S. Pederson is a recipient of the Presidential Meritorious Rank Award in recognition of her service to the government as a high-performing senior career employee with sustained extraordinary accomplishments. Pederson has extensive experience in safety and oversight of nuclear power plants; nuclear plant operator examinations; fuel-cycle facilities; medical, academic, and industrial materials users; incident response; and allegation and enforcement resolution. She will be integral to our development of a new curriculum in Radiological Security, Emergency Preparedness and Response, and is a strong advocate for our Master of Health Physics graduate program. Pederson graduated from the University of Minnesota with a degree in chemical engineering and is a strong champion of STEM education for K-12 girls.